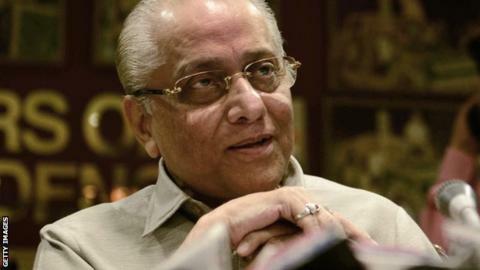 Jagmohan Dalmiya, the president of the Indian cricket board, is in intensive care in a Kolkata hospital after suffering a heart attack. Dalmiya, 75, was admitted to the city's BM Birla Heart Research Institute on Thursday with chest pains. The hospital said that a blood clot had been "aspirated out to establish good flow in coronary arteries". He was elected president for a second time in March and is a former president of the International Cricket Council. There has been much speculation in national media about Dalmiya's health for several months, although the Board of Control for Cricket in India (BCCI) has been reluctant to openly comment on this. Dalmiya, who was previously president of the BCCI from 2001-04, returned to the role following the departure of N Srinivasan, who was forced to step down for owning an Indian Premier League team.